Tea Tree Oil: Tea Tree Oil has antifungal activity, which is known to inhibit the occurrence of dandruff. Lemon: Lemon contains flavonoids which help control free radical scavenging and also inhibit the microbes associated with skin conditions like dandruff. Explore the entire range of Gels & Waxes available on Nykaa. 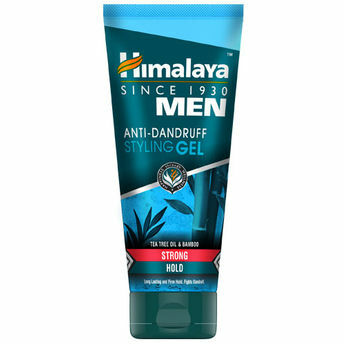 Shop more Himalaya products here.You can browse through the complete world of Himalaya Gels & Waxes .Alternatively, you can also find many more products from the Himalaya Men Anti Dandruff Strong Styling Gel range.